Very cute home in White Rock! 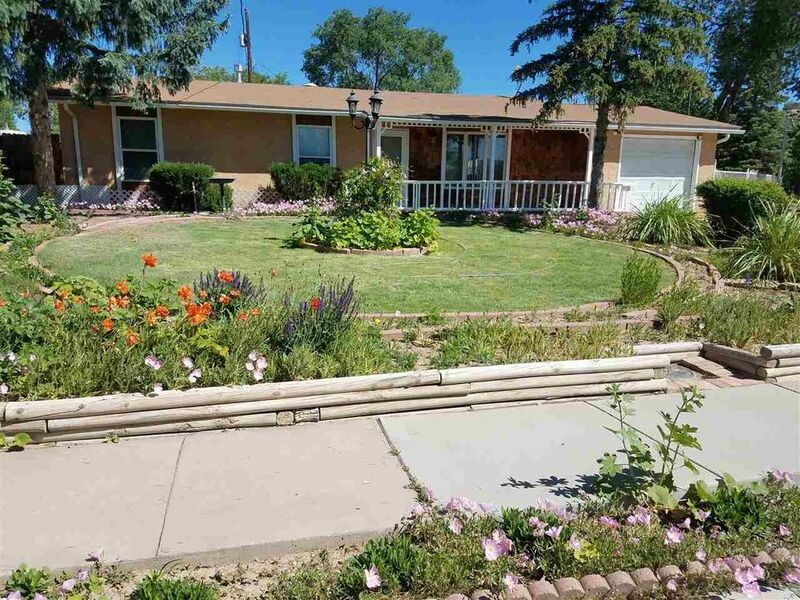 The front landscaping is absolutely stunning, with many colorful perennials that will take your breath away! Enter the home from the adorable front porch with railing, or sit for a while and enjoy the view. Walk into the home into a living room with a beautiful custom tile mosaic floor. The living room has a pass through that looks into the dining/kitchen area where there is another beautiful mosaic. The kitchen is spacious and open with plenty of space for entertaining. This home offers four bedrooms and two bathrooms. The back yard has a fun covered patio and a foot bridge to the storage shed and greenhouse. The garage is oversized, with the laundry area located in the back, plus additional storage or work space. This home is just down the street from overlook park, you can enjoy the 4th of July Fireworks from your front porch, or walk over to see them from the field! Close to Chamisa Elementary School, trails, churches and more. Take a look at this beautiful home soon, it won't last long!